It’s nearly impossible to get through your day when your eyes hurt or your vision is affected by pink eye. To make matters worse, many forms of pink eye are highly contagious so you have to be careful around family and friends. The doctors at Marina Del Rey Optometry understand the challenges of pink eye and prescribe treatments to alleviate the problem as quickly as possible. Call the office or schedule an appointment online so you can get on the road to recovery at the first sign of pink eye. Pink eye, or conjunctivitis, is one of the most common eye problems in children and adults. It occurs when the conjunctiva, the tissue that covers the white of your eye, becomes inflamed, making blood vessels more visible. Pink eye has several causes, and the cause determines whether or not you have the type that’s highly contagious. Viral conjunctivitis is the most common type of pink eye. It’s caused by numerous viruses and is very contagious so it spreads quickly through schools and other environments where many people are in close contact. Viral conjunctivitis can occur in one or both eyes and it may be accompanied by an upper respiratory tract infection or a sore throat. Bacterial conjunctivitis is also very contagious. It may affect one or both eyes, and it’s known for creating a significant amount of pus and discharge along with sore eyes. It’s often caused by bacteria such as Staphylococcus aureus and Streptococcus pneumoniae. This type of pink eye is not contagious and affects both eyes. It comes from an allergic reaction to substances like pollen, mold, and dust mites. You may develop a non-contagious form of pink eye due to irritation from contact lenses or any number of substances such as chlorine in swimming pools, air pollution, and cigarette smoke. What treatments are available for pink eye? The doctors at Marina Del Rey Optometry understand the discomfort caused by pink eye, so they prescribe treatment for fast resolution and symptom relief. Rapid treatment is especially important in cases of bacterial conjunctivitis because it can damage your eye. 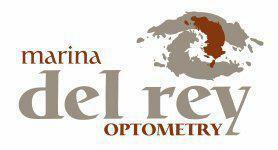 It’s important to schedule an appointment at Marina Del Rey Optometry as soon as possible, because pink eye is often associated with other eye conditions such as infections, dry eyes, and blepharitis.